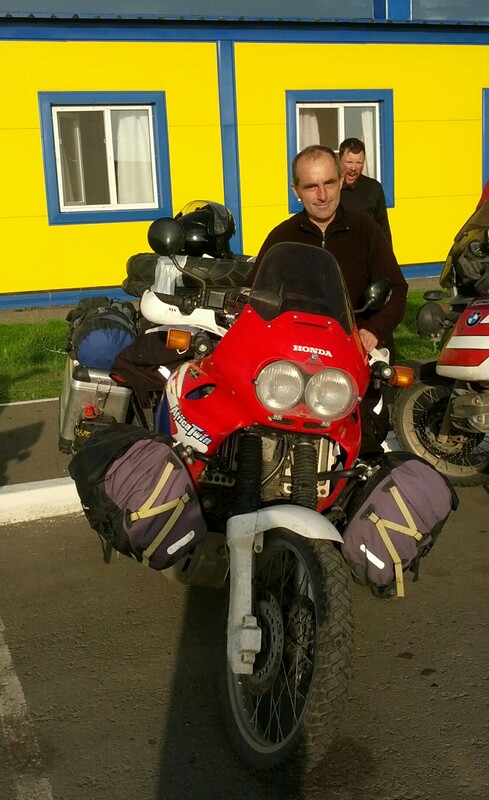 Just before Omsk we stopped at a motel, around the same time as an Africa Twin pulled in. The rider was French and also looking for a room. Within minutes we were sharing a room for 4 for a very reasonable price. Taking over dinner, Claude has been on the road for 3 months. He’s a police motorcyclist in France, on his long service leave for 4 months. Lucky chap! He’s been through southern Europe, Uzbekistan, Tajikistan, Turkmenistan, Kazakhstan, Turkey, Mongolia and is now working his way home through Russia. He didn’t think going to Kazakhstan was a good idea, nothing to recommend it! What I found surprising was that I really struggled to speak French with him. I used to be OK with French, but having spoken Russian for so long my recall of French was no good! It wasn’t a real problem, we got on OK and saw him on his way in the morning. Bon Voyage Claude!